OFS customer Jamie Solveson of Boulder Colorado recently became a small business owner with the launch of her company, Jamie Lauren Upholstery (yay!) and shared her latest project with us — two beautifully reupholstered cane chairs. I’d say she’s off to a wonderful start, wouldn’t you? According to Jamie, “The chairs are from 1972, had a removable seat cushion, and a pillow which was buttoned to the back canning. They needed a major update.” See for yourself! She used Waverly Santa Maria Desert Flower Fabric for the front and Waverly Panama Wave Desert Flower Fabric as a fun accent to the back of the chair (the back and seat are now stapled in.) She also sanded and painted the chair’s frame in a satin black finish. To see more of Jamie’s work, follow her on Instagram (@upholsteryupcycle). Great job Jamie! And welcome to the upholstery community! Thanks for example shared !!!!! 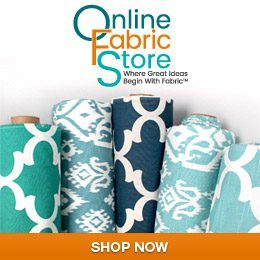 I’m so happy to have found your web site, full of modern and very faboulous fabrics. armchair and, if you agree, i’ll be glad to send you the immagine before and after…. Thanks very much and regards. So gorgeous!!!! Nice work Jamie! Great choice of color and fabrics! Looks really well done!